" Learning is a natural, inborn impulse, and the world is rich with lessons to be learned and puzzles to be solved." I just love it! Let me repeat that... Learning is a natural, inborn impulse. Anyone with a baby or toddler knows that's true. If we know our youngest children seek out learning, why then wouldn't older children? Many people feel that if we, as adults, don't challenge children then they won't challenge themselves. But ask yourself this, do you think learning to walk was easy? Or learning to talk? Both are complex, difficult skills that were met with setbacks and hardships (falling, mispronunciations, miscommunication, etc.) and yet children keep trying until they've mastered these skills as best they can. Children want to learn to read, write, compute and make sense of the world around them. Just give them the time and they'll discover all of these joys for themselves. That said I'm not ashamed to admit that homeschooling (especially unschooling) can be hard. Mostly because I constantly feel the need to defend my decision. Even well meaning, supportive family members ask questions. Heck, even my husband asks questions! Innocent questions not meant to criticize, but they often make me have a moment or two of worry. Strangers question me often, and I can't tell you how many times we get looks from complete strangers when we're out and about during the day when the kids "should be in school." Luckily, I'm not one of those people who are easily intimidated or who are afraid to speak their minds. I know what we're doing is, first and foremost, LEGAL. I know I have my children's best interests at heart and I know most people ask us questions because they are genuinely curious about us and our lifestyle. Though homeschooling is more popular than ever it's not the norm and many people don't know much about it. Sure, I bet there are some people out there who are openly critical of homeschooling but I'm thankful I have yet to run into them. 1. What about socialization? Aren't you afraid they won't make friends if they don't go to school? I hate to say it but this is the number one question I'm asked and it's the one that makes me laugh the most. First of all how many times do you remember hearing "we aren't here to socialize!" when you were in school? Constantly, right? I know I did. My kids have such a huge range of friends; they have friends they did meet through school that they keep in contact with, they have a lot of cousins and my friends' kids that they play with, they have friends we meet at homeschool groups, classes, lessons, sporting teams, etc, seriously the list goes on and on. Another bonus, my kids can socialize easily with any age from toddlers to adults. They help out younger children and willingly approach older children without fear. If anything, homeschooling has made them all more social and I'm so glad. new friends are made almost weekly! 2. Do you have school in your Pajamas? Aren't you afraid your kids won't learn how to get up and be ready on time when they're older and have to go to work? OK, I'll admit, I've never been asked that exact question but I'm asked similar ones all the time so I kind of meshed them all into one. Yes, my kids can choose to have school in their Pajamas. I don't think it inhibits learning at all. They can sleep as late as they want, usually that's 6/ 6:30 in the morning since we're notoriously early risers around here but I never wake the kids up unless we have to be somewhere. I have been asked, (or told by my own husband) that this isn't preparing kids for the "real world." My arguments are numerous on this one. First of all they're 5, 7, and 8; the "real world" is many years away! My second argument is that my kids can be up, dressed and ready to go surprisingly early (and quickly!) when it's something that matters to them-- as I hope their family, job, adult life, etc. will one day too. Perhaps my boys will work from home, work second or third shift, perhaps they'll own their own business; bottom line is I have no idea what my children will do for work they are adults so I don't know what they're schedule will be. I don't know what clothes they'll be required to wear; suits, work clothes, a uniform... who knows? When the time comes for them to be "adults" I'm sure they'll be smart enough and responsible enough to be there on time and dressed appropriately. 3. How do you know they're learning what they're supposed to? Does the town provide you with a curriculum? No, luckily the town does not tell me what I have to teach my kids or when. My argument is this: who decides what kids are supposed to know and when? When did we all decide as a nation that all kids need to read by age 5, that all kids need to know addition facts by age 6 and multiplication facts by age 9. If a child learns to read at age 8 or 9 does that mean they'll never read as well? When kids are ready to learn or are intrinsically motivated to learn they can pick up skills rather quickly. One HUGE reason many people choose to homeschool is because children are individuals and they all learn at their own pace, in their own time. I try very hard not to worry about what the peers of my children are learning and focus instead on what we are learning and on fostering a love of learning. 4. If you don't test them how do you know they're learning? This is the easiest to answer, while many homeschooling families do use tests I don't. I evaluate their learning by watching and listening. I observe my kids at play and hear them when they're voicing their thoughts out loud. I have learned to tune into my kids, after all I am with them for more than ninety percent of the day. I listen to the questions they ask, I hear the answers they give each other when trying to figure out problems. I ask questions too. Not usually to check for comprehension, but to get an idea of what they're thinking at the time. I have become so fascinated with how their minds work. Usually, their thinking is more advanced than I would have thought and I'm blown away by the remarks I hear them making. 5. 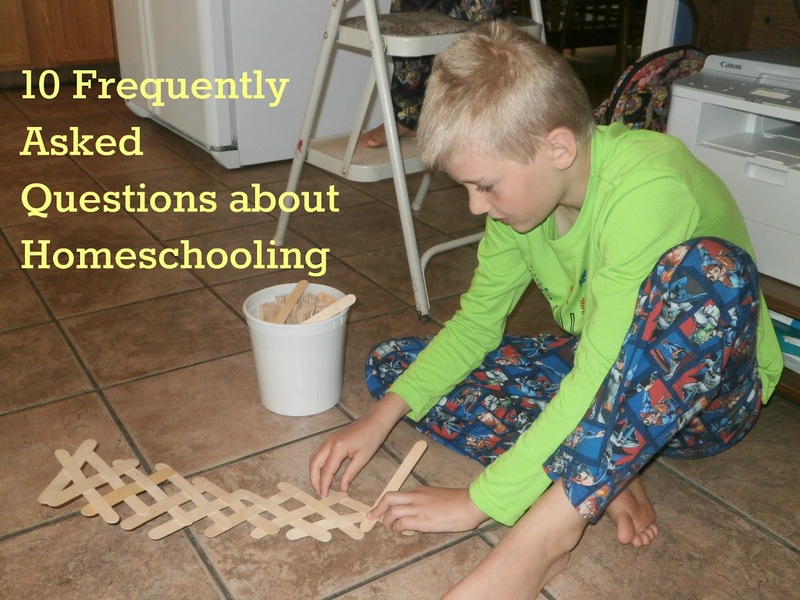 How long do you homeschool each day/ What do you do all day? 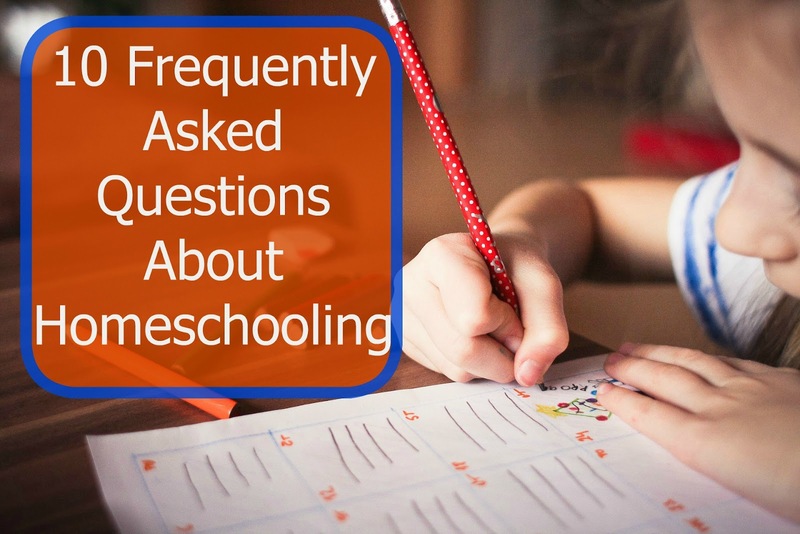 This was one of my biggest questions when I started homeschooling and I find it's one I'm asked the most by new homeschooling families or those families thinking of homeschooling. There is a rule of thumb for this one; a half hour per grade level is a general guideline. So that means if you're homeschooling a first grader you need about an hour a day for schoolwork. What?! You think that can't be right? during the course of the school day an average class spends well over 30 minutes just lining up. Lining up to go to lunch, to go to recess, to go to special, to go to the bathroom, to come back from special, etc. Going to the bathroom is a 15- 20 minutes process in a class of 20- 30 students. Then they have lunch, recess, special, fire drills, lock down drills, assemblies, field trips, etc. IF you really go through and think about the school day, it is not focused solely on direct instruction. Wwe spend every moment of every day learning. As long as my kids are awake, out of bed and doing something they're learning. We talk, we discuss, we reason, we PLAY! We read books, play board games, play card games, play with play d-oh, Lego's, toys, shaving cream, water, building blocks... you name it we probably play with it! 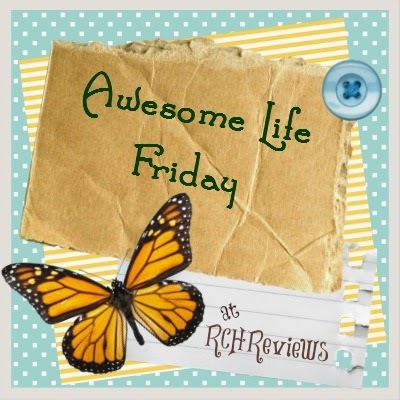 We explore the natural world, go to the grocery store, the bank, the library (often! ), the museum, the zoo, the dentist, the doctor, the park, the beach, etc. We live our lives, talk, question, sing, dance, etc. To outsiders I often think our lives probably look like one long family vacation, and you know what, sometimes (not all the time but sometimes) it feels that way too! 6. What happened? Why did you pull them out of school? Most people assume something horrible had to have happened that caused me to pull my children out of school. But that wasn't the case. My children were doing well in school and had wonderful teachers. That said our public schools do struggle to meet the needs of all the students and so I guess I could honestly say it was many little things lead up to our decision to homeschool. Every family is different and every family that chooses to homeschool does it for different reasons. For me it was more a matter of not liking how stressed out my children were looking, how unchallenged my middle son seemed, how unhappy we were as a family and I kept thinking there's go to be a better way. My oldest son had been asking me for years to homeschool them so we finally decided we'd give it a try and see how it goes. Now we love it and I honestly hope and pray that we're able to do this for many years to come. 7. If you lived in a different town with better school systems you'd put them back in school right? NO! Absolutely not. I may have thought that myself too in the beginning but the more we get into homeschooling and unschooling I don't want anything else for my boys. We love homeschooling and ultimately I'm realizing my frustration was not so much with the school itself as it was the institution of school. Homeschooling as caused me to look critically about all I learned in school. I was great in school. A strait A student. I knew how to memorize things for tests and word papers correctly to the point I learned to skate through college with doing little to no work. I also retained little. Looking back on my experiences I don't want that for my kids. I want more for them and I think homeschooling is the way to do that. 8. But they'll have to go to high school, right? I mean you can't teach them EVERYTHING! Firstly, high school is a long way away for my little guys and I'm trying real hard not to worry about the future and live in the moment. At this point we take our lives one day at a time, or at most year by year. We constantly evaluate what we're doing and what is and isn't working for us. I don't know if my kids will go to high school or not but they don't have to go to high school. Colleges are very willing to accept homeschoolers into their midst. Each college varies as to what they want; SAT/ Test scores, transcripts/ diploma, etc, but we'll cross that bridge when we get to it. People have been homeschooling for many, many years and we've met homeschoolers who have gone to (or are now in) college and doing quite well. I'm confident I can teach my kids everything and I'm more than willing to do so, unless they want the high school experience. Part of homeschooling/ unschooling is learning to trust your kids to make the best decisions for their own lives with lots of discussions and explorations of choices. 9. You're lucky you don't have to work because I bet it's expensive and time consuming, right? Hmm.. I admit I may not be the best one to answer this question. I never really worked outside the home full- time since my boys were born so my paycheck isn't really missed. My understanding is that homeschooling can be as cheap or as expensive as you choose to make it. Many families spend lots of money on curriculum books, memberships to all sorts of museums and zoos, fancy toys, learning kits, etc. Some families only use basic supplies like books from the library, paper, pencils, crayons, and other common household items, going on free family outings. I have yet to buy any fancy curriculum materials and have come to realize we probably never will. We do pay for memberships here and there and classes the kids ask to participate in, but I don't think we've bought extra toys or gadgets either. It has changed what we buy our kids for birthday's and Christmas, just as homeschooling as caused us to change the way we parent a bit, but overall I don't think homeschooling has cost us a lot of money. I have even heard of homeschooling single parents! I have met homeschooling families with more than 5 kids and some who only have 1. There is no set cost or set hours or set way to go about it. It's not a job it's more of a lifestyle. It's another dimension of parenting and like most things if it becomes important to you, you somehow find a way to fit in into your life and afford it or at least we did. 9. Don't you have to be super organized and creative and love planning in order to be able to homeschool? Okay, this is another one of those questions that no one has ever really asked me, but people do say to me on a regular basis things like, “I could never homeschool because I am not as organized (or creative, or smart, or as good at planning) as you. The answer is definitely, “No” — you don’t have to be “like me” to homeschool. It’s true that homeschooling isn’t for everyone. BUT, every homeschool family I've met is different; they teach differently, have different strengths and different needs. There are so many different homeschooling methods and materials (in fact I'd argue that there are as many different methods as there are families that homeschool!) that everyone is bound to find one that works well for them. 10. IS that even Legal? I'll admit it, I have never come across this question either (I'm such a liar aren't I?!) but I have met many other homeschooling families that have. Yes, homeschooling is legal in all 50 states. Each state has different laws about homeschooling, but all states allow it. It is estimated that 2- 3 million children are now homeschooling within the United States. We're lucky that, as of right now, our state doesn't have many laws or guidelines about homeschooling. We, more than anyone else, want our kids to be successful contributing members of society and we're going to do everything we can to make sure that happens. This is all so interesting. You managed to sum up very important things about homeschooling! Great article. Thank you! I'm so glad you liked it so much! !